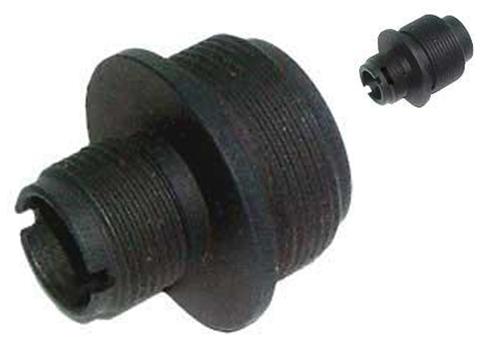 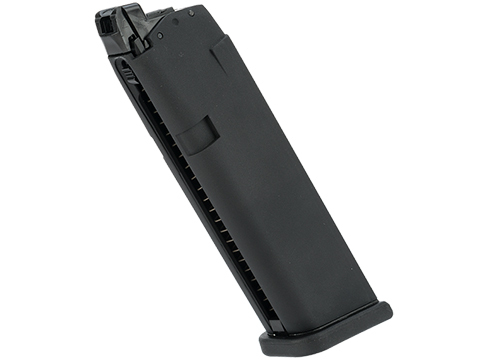 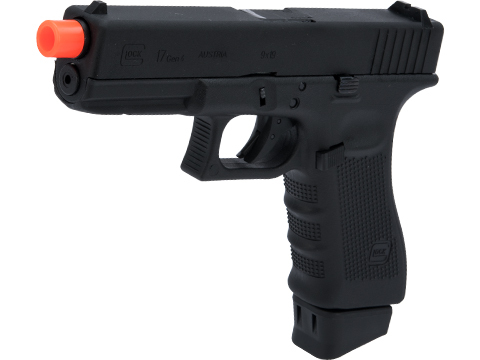 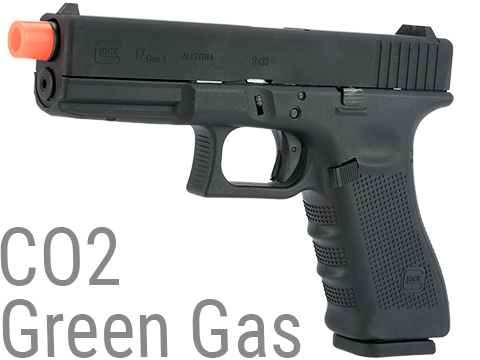 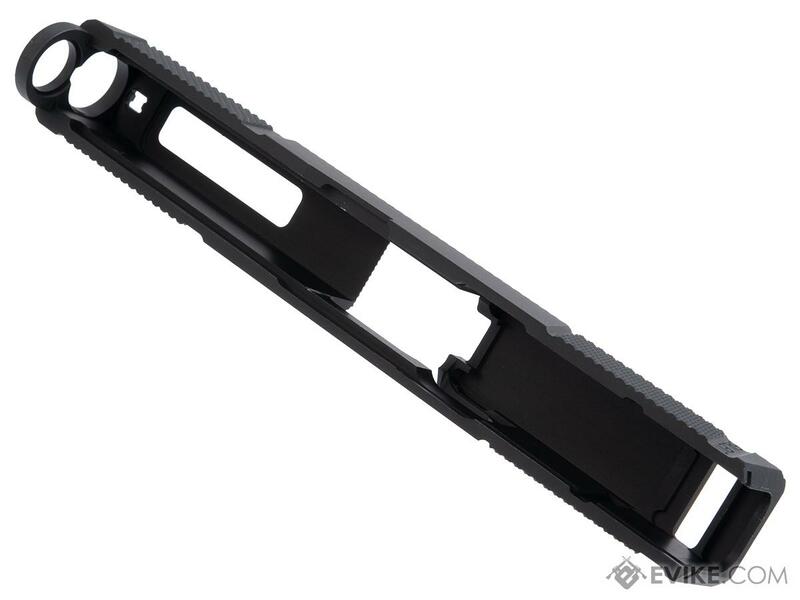 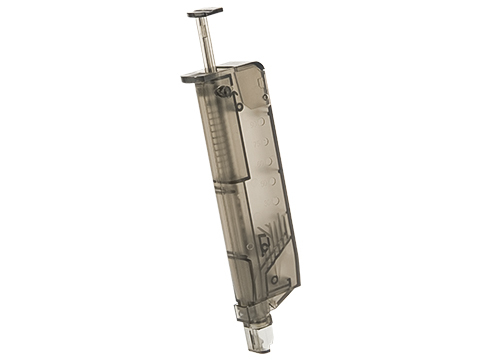 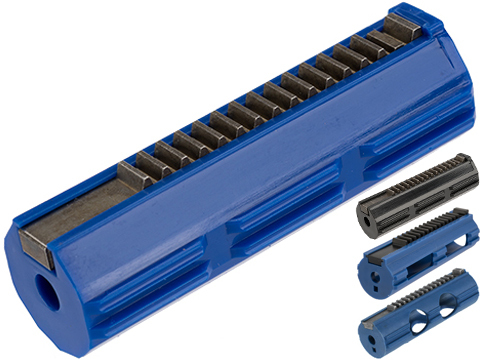 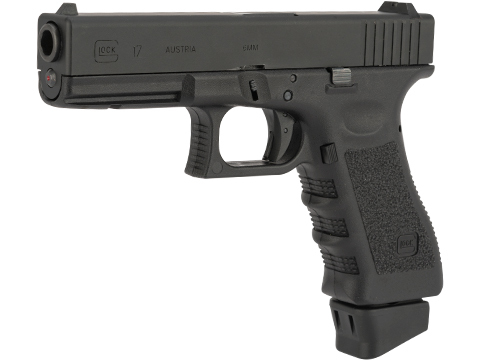 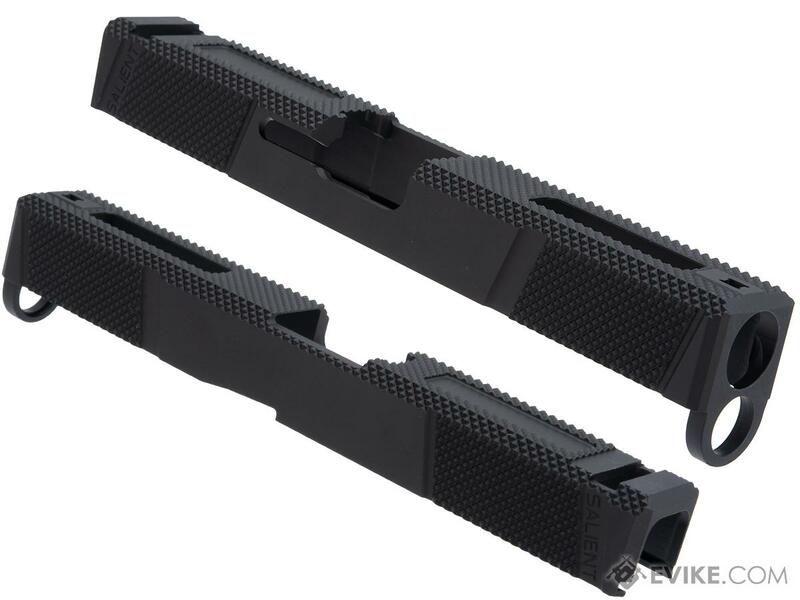 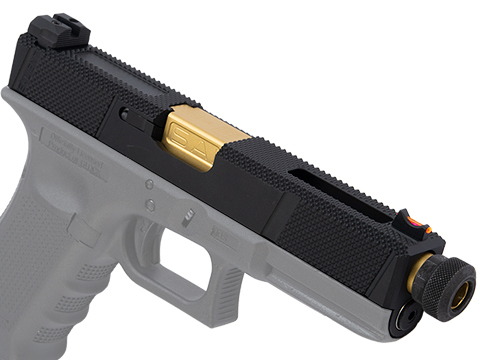 Introducing the all new Tier One Utility Slide set for Elite Force GLOCK 17 GBB Pistols. 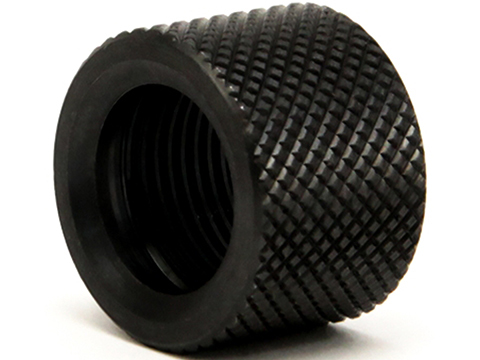 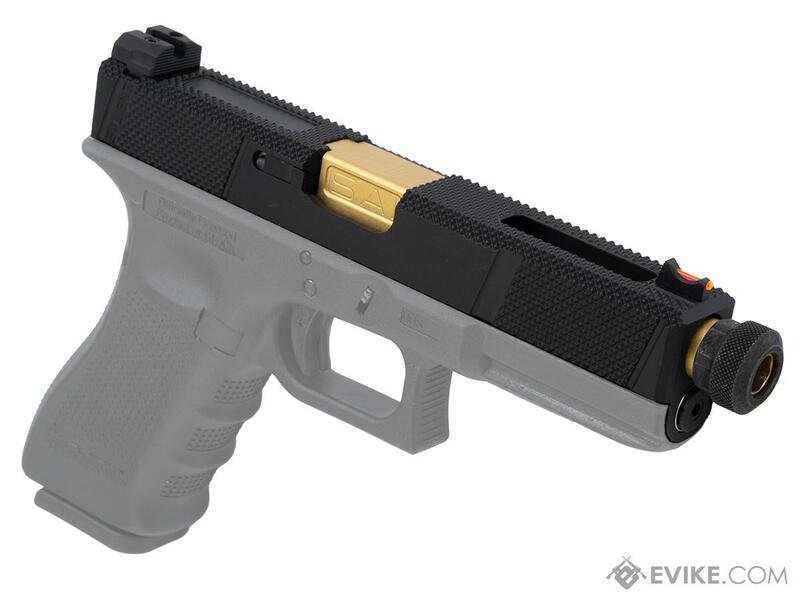 Fancy up your GLOCK 17 pistol with our all new knurled surface finish that is applied to the sides and top of the slide to provide a more positive ergonomic feel while aesthetically doing something brand new to the market. 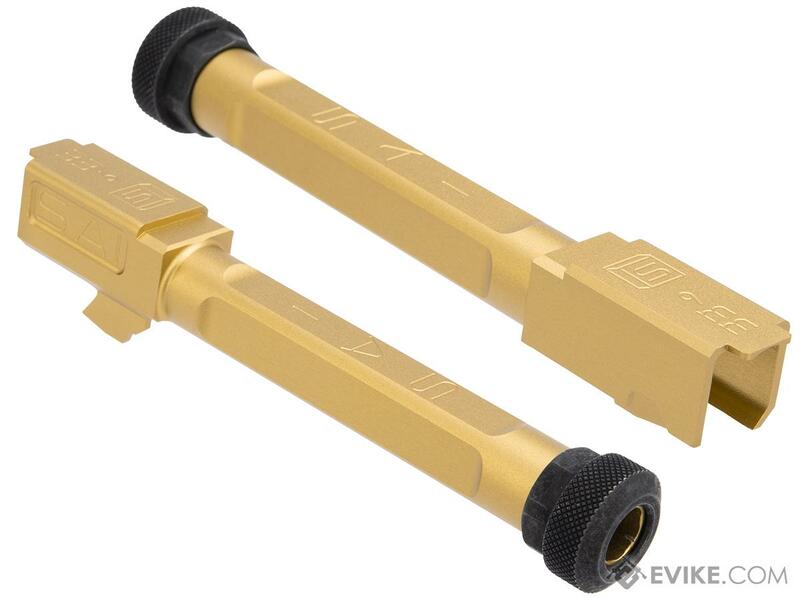 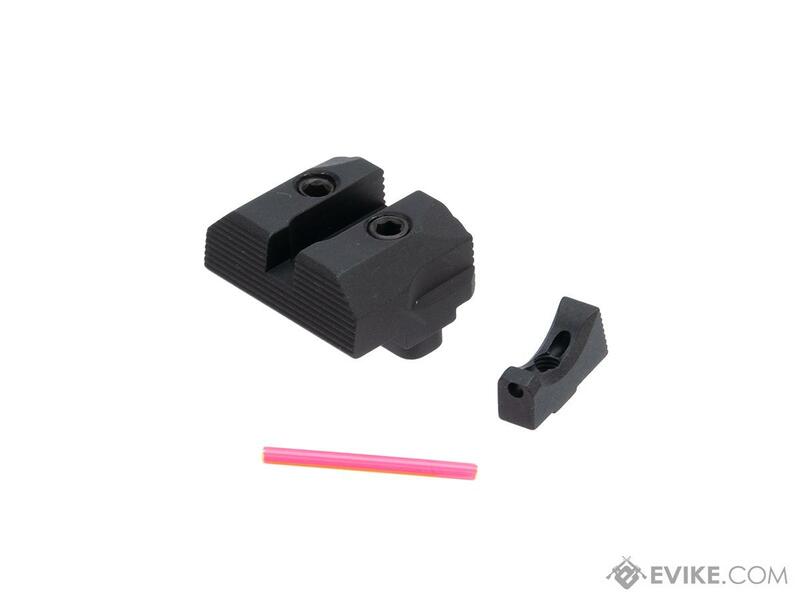 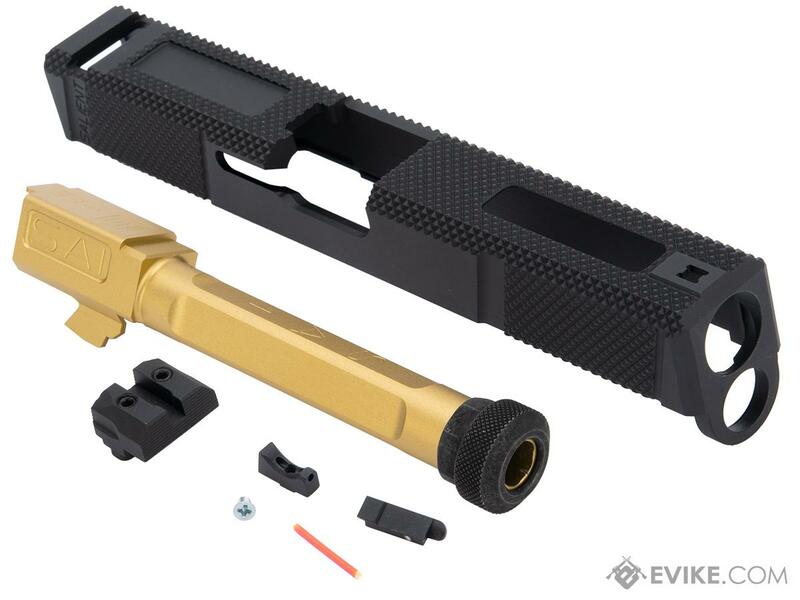 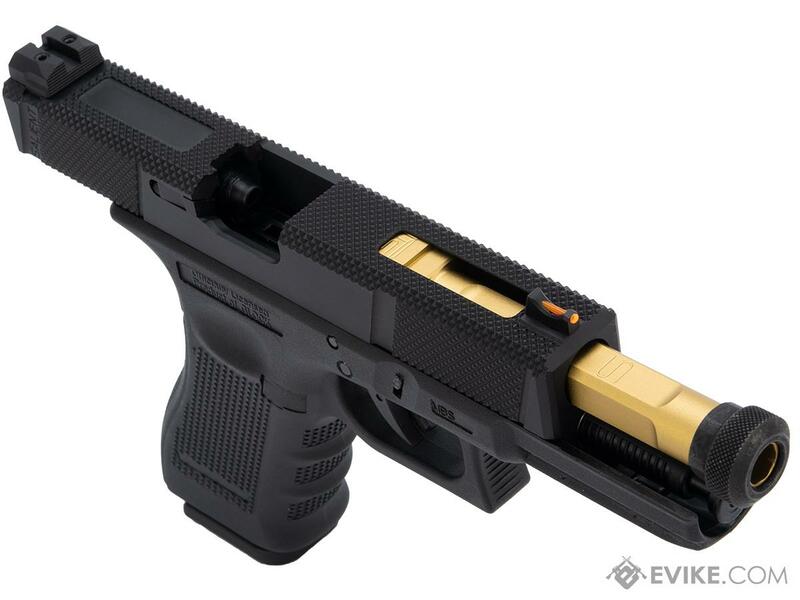 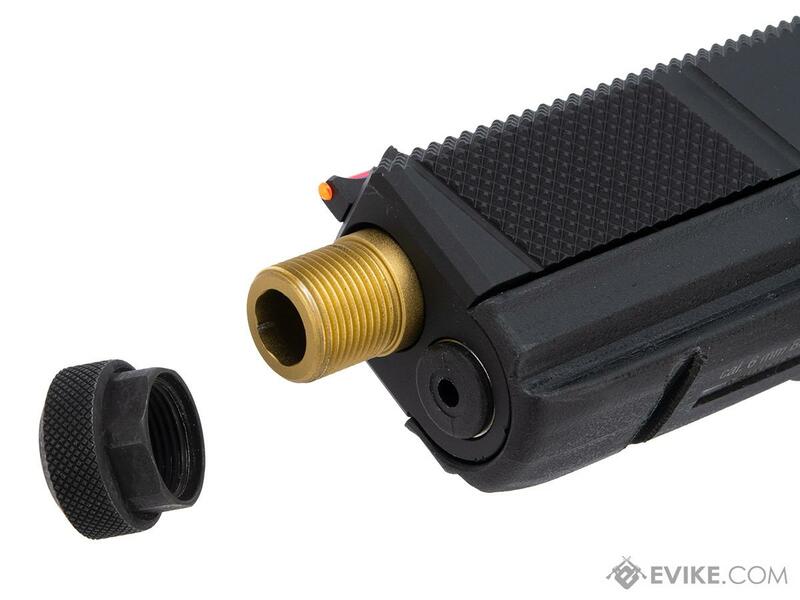 Discuss about EMG SAI Tier One Utility Slide Set for GLOCK 17 Series GBB Pistols (Type: Black Slide / Gold Barrel) with your friends and fellow Evike.com shoppers!